Are you ready to have the most successful season ever?!? Even if you have the most talented athletes on your team this year, that doesn’t necessarily mean your team will be more productive. In order to ensure your team’s success, you must cultivate Team Unity. Do a Community Service Project with your team: Doing an activity outside of cheerleading, especially when it involves feeling good and making a difference, brings people together while building a sense of team pride and personal bonding. Some examples include: cleaning up a local park or beach or making toys or treats for a local animal shelter. Set Common Goals: At the beginning of your season, it is SO IMPORTANT to sit with your entire team and create goals for your season as well as individual goals for each athlete. This way everyone has a sense of team purpose and what role they will play; thus feeling like they belong. Set Up Team Buddies: Each week, pair up 2 athletes and make them buddies for the week. This gives team members the opportunity to talk with other members they may not normally spend much time with. Continue to change the buddies every week until everyone has spent time together. So what do they do as team buddies? 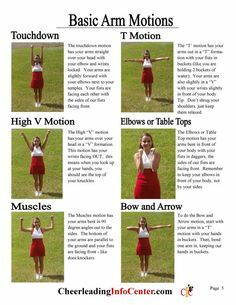 Each week give them a different task that needs to be done; i.e making spirit posters, working together at the team fundraiser, etc. Look Alike: One easy way that ALL teams or groups do create team unity is to look alike with the same shirt, accessory or jewelry item. 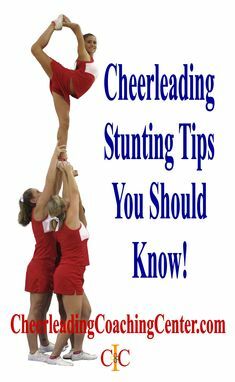 During cheer camp, your team probably felt a strong sense of team pride when they were all wearing their team uniforms every day. 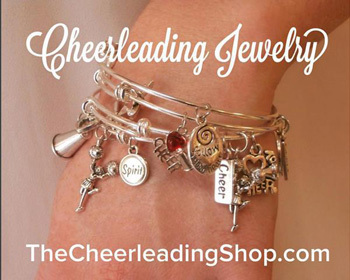 Now that camp is over and school is starting, there are a few things your athletes can wear daily to build team pride: customize a team bracelet from TheCheerleadingShop.com HERE, have the same backpack, etc. Also, you can pick a certain day that all of your team members wear their bracelets, for example Tuesday is Team Bracelet Day. Remember, building Team Unity is a MUST for EVERY team. For more ideas, download our Team Building Ideas Workbook HERE today. 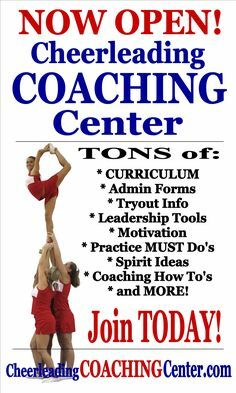 For TONS of tips, curriculum and tools you can us to make your season OUTSTANDING and EASY, JOIN the Cheerleading Coaching Center TODAY – HERE.